With summer ending it has been sad to see garden and walking club come to an end, but we are excited to start our new aquatic program this month to benefit children in the Woodbury area. We have had so much fun with our summer programs and camp kids we are looking forward to what the fall may bring. When we set out to start these programs we weren’t sure how they would go over with our campers. We wanted them to enjoy themselves and learn different skills from these programs, but it ended up being so much more. The kids showed excitement everyday on how they could improve their garden, trying new foods and how they could include more steps within their day. These two programs had a later start since our main focus was the fall aquatic program, but a lot of ideas were thrown around and we knew we just had to start something during the camp sessions for the kids. Some challenges that occurred were getting vegetables that would grow fast enough since we only had half the summer session left. In fact, we even purchased some of the vegetables we were growing so the campers could try them since they hadn’t fully developed during their camp session. For our walking club, they had to rack up a certain mileage in order to “walk their way to Wildwood” and with the inclement weather we had we had to continue the rest of the walking after the actual trip to the shore. Although there were minor challenges, we were able to successfully run these programs for the campers this summer and we are thrilled to be running another program in just a few short weeks. This program will help accommodate students in the Woodbury School District with swim lessons and swimming safety at no cost to them. Our new programs in our Summer Day Camp have brought a lot of excitement to our facility. 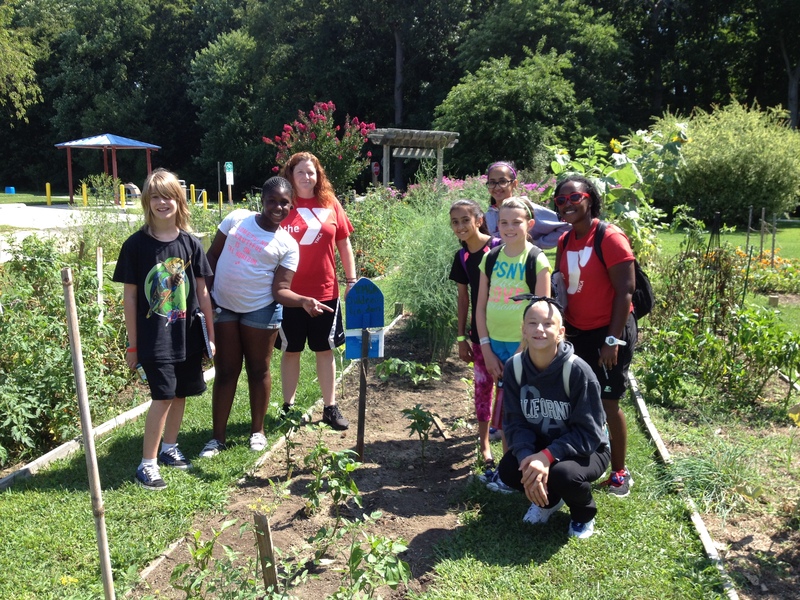 Our campers are thrilled to be growing their own fruits and vegetables in Garden Club. They have also expanded their garden by adding an additional plot to the community garden. 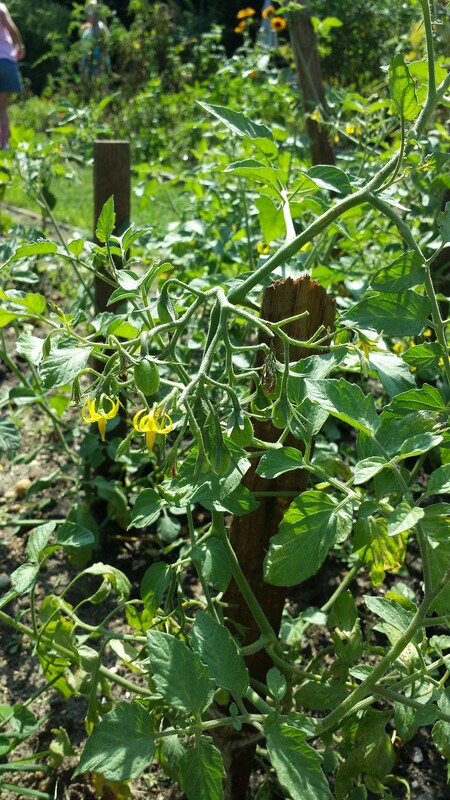 Being able to grow their own food has really encouraged the kids to try new foods and be able experience something different. 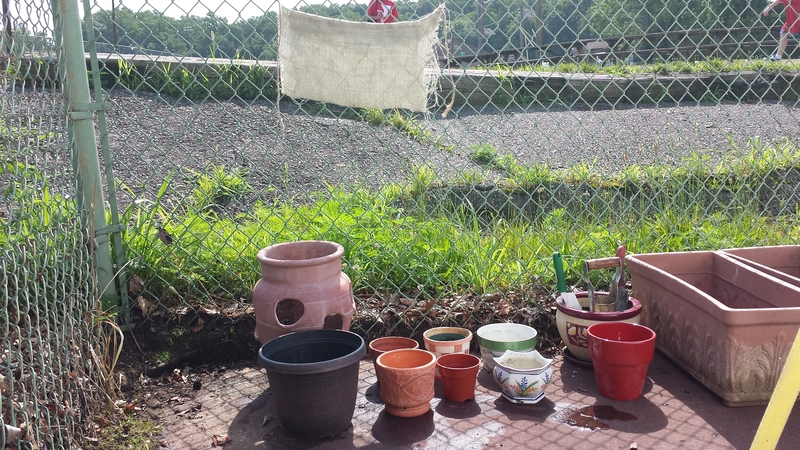 We’ve seen what impact Garden Club has made on the campers during one of weeks of camp. During International Week our campers in garden club seemed to be going around and tasting more foods from other cultures than they did in the past. They are definitely open to trying more things now. 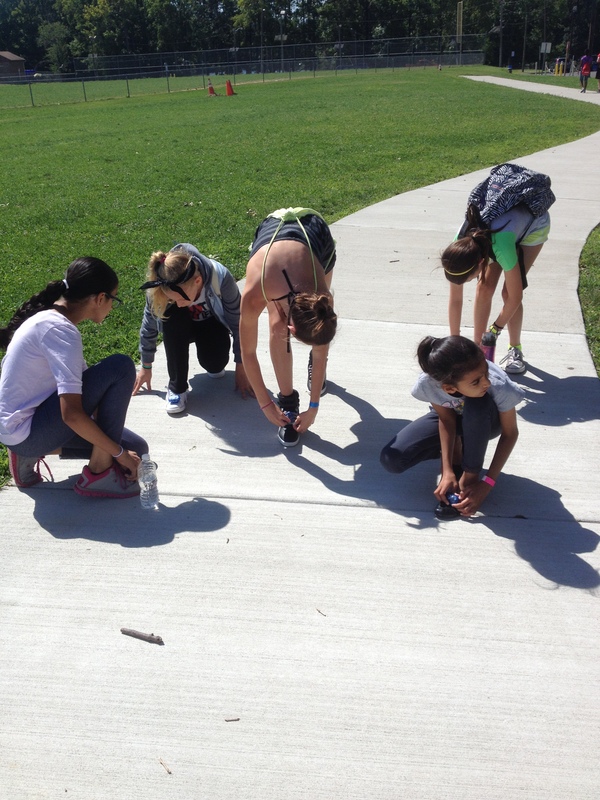 The Walking Club has been walking their way to Wildwood the past couple weeks. In order to encourage the kids to be a part of walking club we thought about what kind of incentive we could give to them to encourage the physical activity. Why not give them a trip down the shore? We would give them the challenge to walk the distance from Woodbury to Wildwood and back. 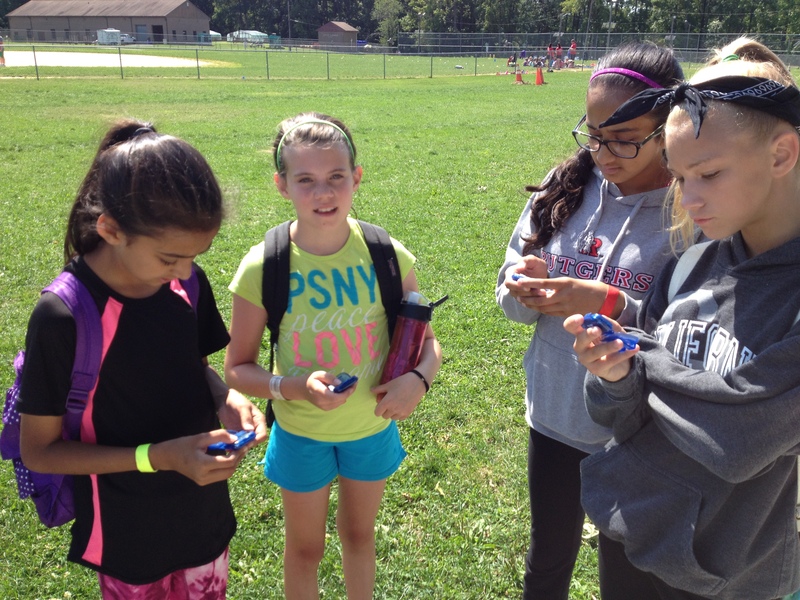 We calculated how far Wildwood is and provided each camper with a pedometer to track their steps. In order to reach the goal of 143 miles, we have added each campers’ steps all together to reach our final goal. We can already tell how excited our campers are to be walking the distance to Wildwood and hope it encourages them to want to walk or exercise more often and feel good about themselves. These programs have made a great impact on our facility and on our Summer Day Camp and we are excited to start our swimming program in the fall with the Woodbury School District. As we continued to strategize for our fall plans, we started to think about right now…. How can we impact the kids that are attending our Summer Camp? These kids are at our facility 5 days a week from 9:00 AM to 4:00 PM. We put our heads together and brainstormed ideas on how we can make their camp experience different from what they’ve experienced in other years. Other than the regular camp activities, we thought about what we could do to enrich their skills on learning, responsibility and nurturing… and we came up with a community garden for the campers! The location of the garden will be where the kids are picked up and dropped off every day, so that they and their parents can see the progress each day. The campers will also be able to show their creativity by crafting their own banners and signs to differentiate the camp groups. We are hopeful that the garden will teach them responsibility, nurturing and development. From planting to exercising, we branched off and started to think of other ideas to benefit the campers. We are approaching the idea of a walking club for those in the extended day camp program. For that extra hour, we want to create a group of campers who keep track of their steps during the week with pedometers and encourage them to walk more in order to stay healthy and fit. By staying healthy this summer, we are working on ways for campers to receive water safety presentations during pool time to learn about the safest ways to act around water. 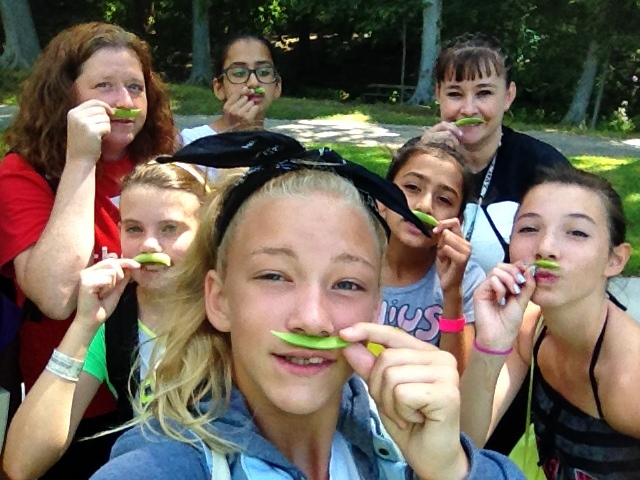 We want to encourage safe and healthy behaviors during camp season and hope these activities promote healthy living and continue into the school year. When planning a program one of the challenges can be getting the timing right. Our biggest conflict as of now would be when do we run this program? Do we start at the very beginning of the school year? Do we wait a couple weeks for the kids to adjust with new schedules? How do we fit this new program in with our regular scheduled programs without having a major issue? These are a couple of the issues we are faced with before moving forward in our planning. We not only have to work with our already full YMCA aquatics schedule, but we have to work with the Woodbury school district schedule as well. This is a very exciting planning process, along with a challenging process… but without a challenge it wouldn’t be fun. We are extremely pleased with the opportunity of receiving the grant and being able to create this aquatic program for young students to create a higher awareness of water safety. Once all the dates are set, the rest of the planning should go smoothly. The program will help improve the children’s water safety in the area and will be extremely beneficial to the community. Within the next couple of meetings, we are hoping to lock down a set time frame for this program. We want to be able to get information out to families as soon as possible, so they can plan ahead for their children to attend our program. Still in the planning process, The YMCA of Gloucester County and the Woodbury School District are moving forward with the planning of an after-school aquatics program for students. From the last time we all met, we gathered the results from the surveys and the outcome was not surprising. The majority of the parents and students would be extremely interested if there was an aquatics programs offered to them for free of charge. Gathered that the majority of the surveys revealed the interest in this program, we want to make sure we execute the planning as well as possible. Given that this will be a free program provided to the students, we want to make sure they are attending regularly and not dismissing the sessions since there is no fee. We are brainstorming some possible incentives to provide the students with at the end of the 6 to 8 week session period to keep them wanting to come back to classes each week. We are hoping to have these aquatics programs run 4 to 5 days a week, so we are able to fit in approximately 125 kids per session and we can track their progress from when they first begin to when they complete the program. As we move forward in this planning process, we will discuss our bathing suit and towel drive and begin to spread the word to our community.